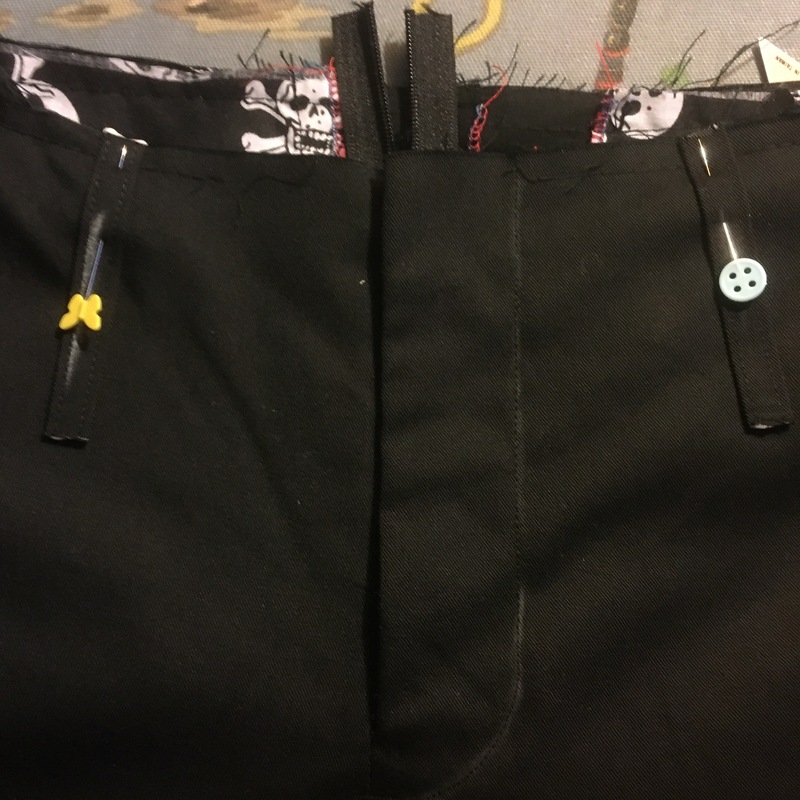 When I should have been doing many other things, I decided all the chores could wait and it was time for me to make new trousers. I’ve practiced the ‘Stretch Chino’ pattern a couple of times. First HERE and they were a bit big. Then HERE and they were a much better fit. 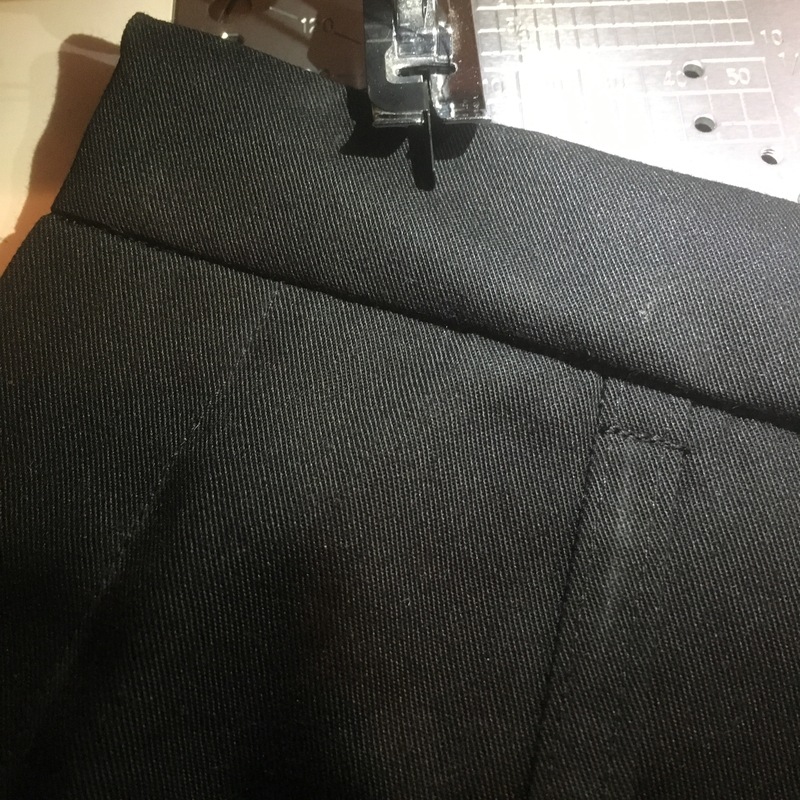 Now I’m making full length trousers. I’m still following the instructions from my Japanese sewing book ‘Men’s Clothes For All Seasons’. Last time I found the order of construction to have a really nice flow to it and I liked constructing the fly after the two trouser legs are complete. I have a 4 cm wide strip which I press in half lengthways. Then, open up & press the edges into the centre. Then fold & press in half. Using the edgestitch foot and the needle nudged over 2 or 3 mm, I edgestitch the open side first then the folded edge. I cut them to equal lengths, mark the wrong sides, as I’m in artificial light now. Put a dab of fraycheck on both ends & leave them to dry. 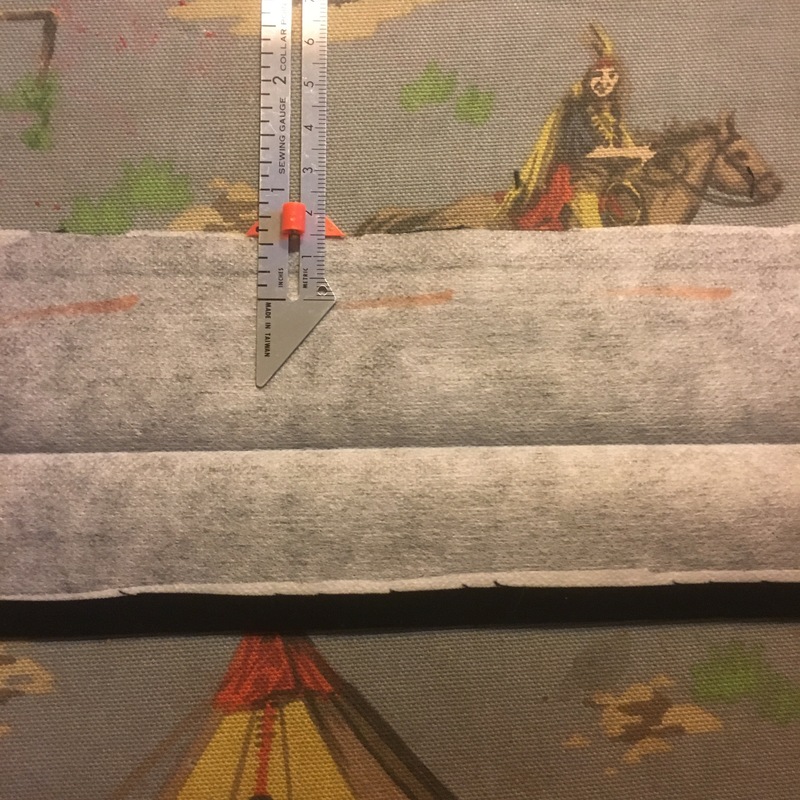 Fold and press in the middle with the inner seam fold just over the stitching line. 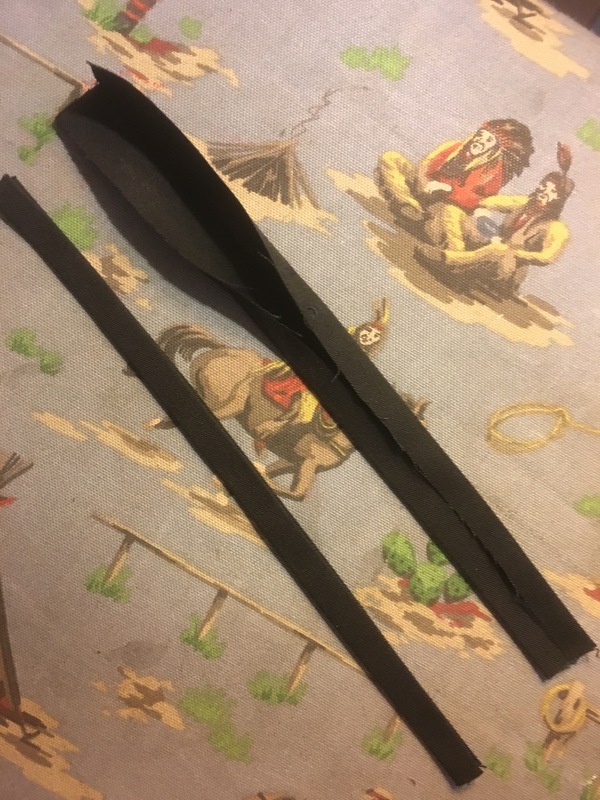 Pin and baste the beltloops, 1cm either side of centre back. And I eyeball the front as the fly stitching makes it all look off centre if I measure it. 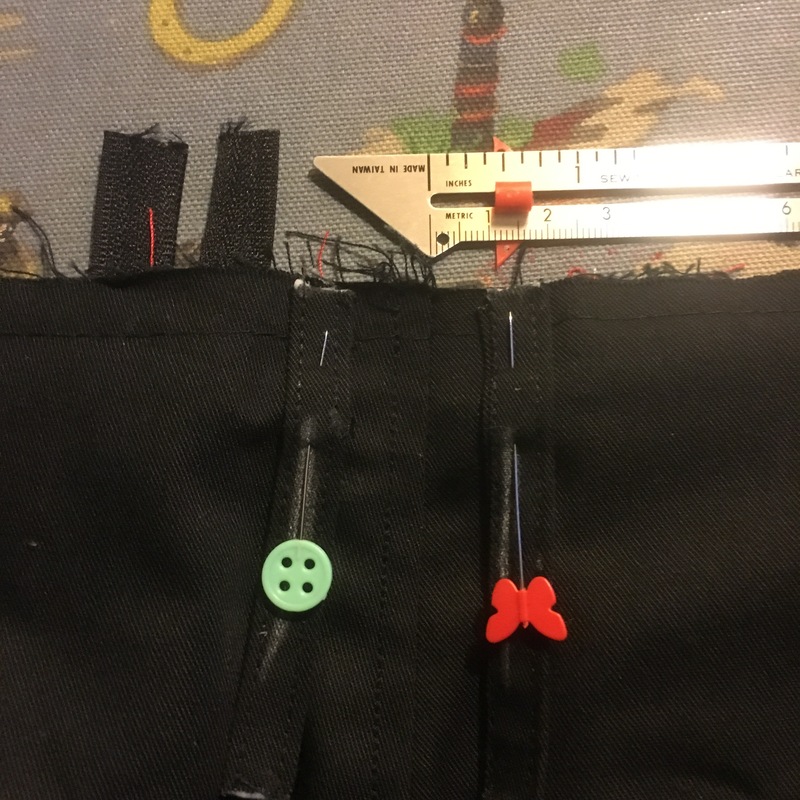 Pin the waistband all the way around and stitch along the marked line. Press the seams up towards the band. 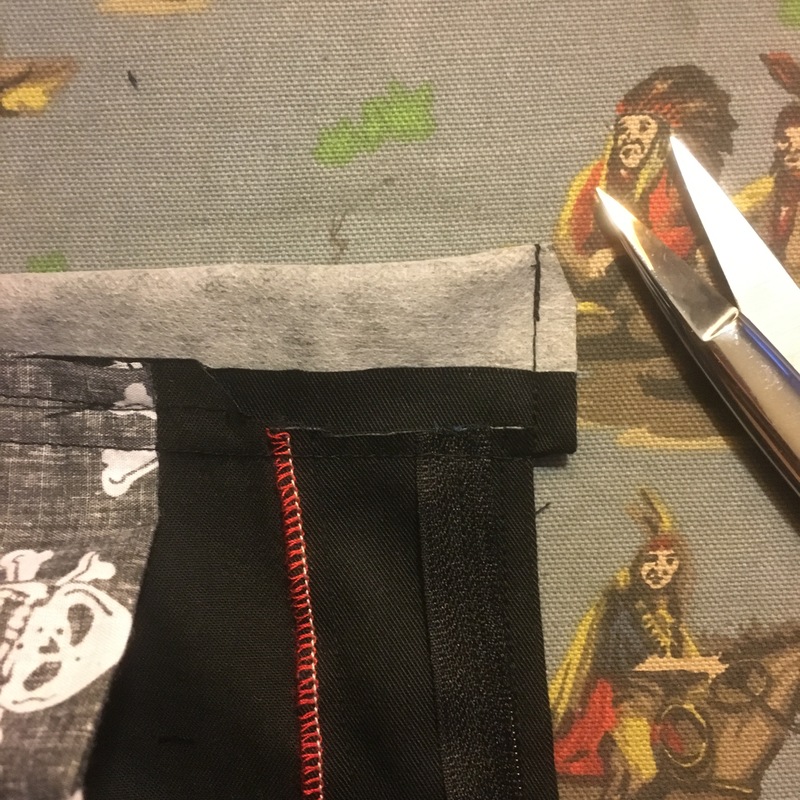 Fold the band right sides together and stitch in line with the edge of the waistband (to create the corner). 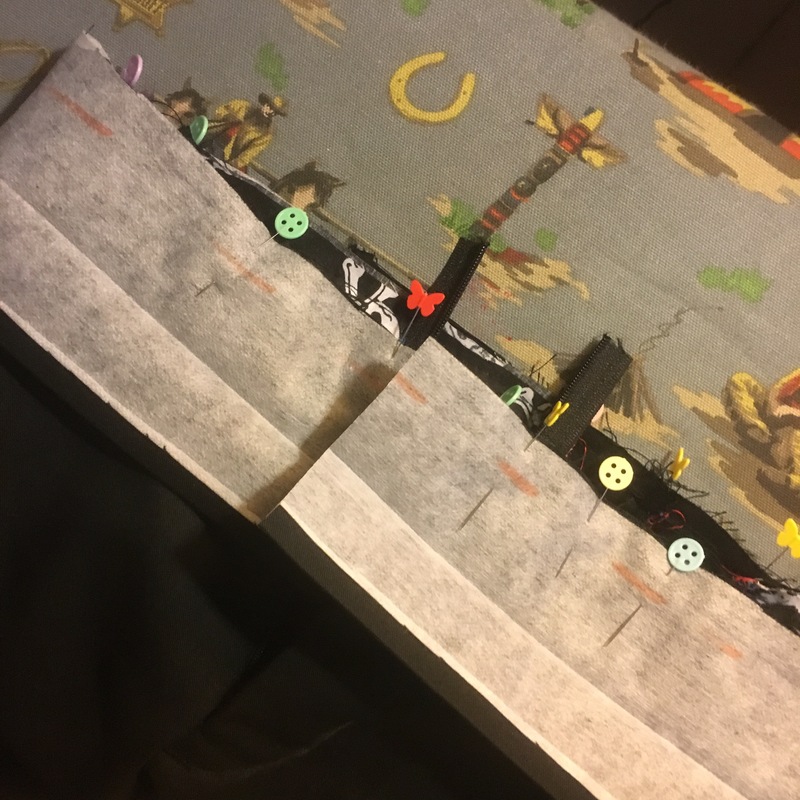 To keep things neat inside, I cheat the corner of the folded side up a bit so that it tucks in neatly when I turn it over. Clip the corner and clip the top of the Zip before turning over. Stitch in the ditch from the front to secure the inside of the band. 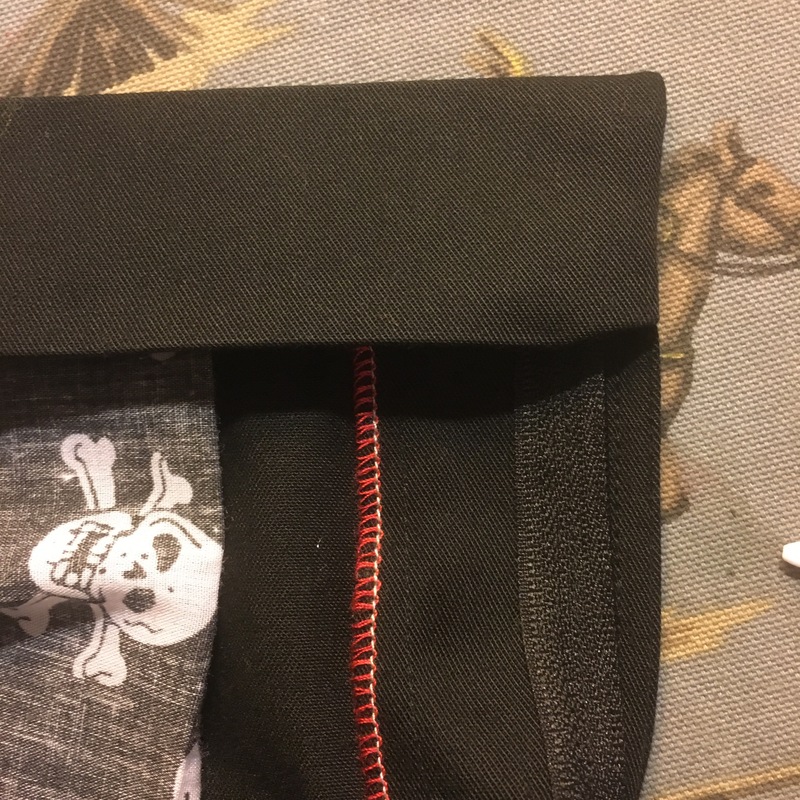 Hide your stitches in the seam line. Fold over the loose edges, line them up with the top of the waistband and edgestitch in place. Mark & sew the buttonhole. This usually goes pretty badly with me. 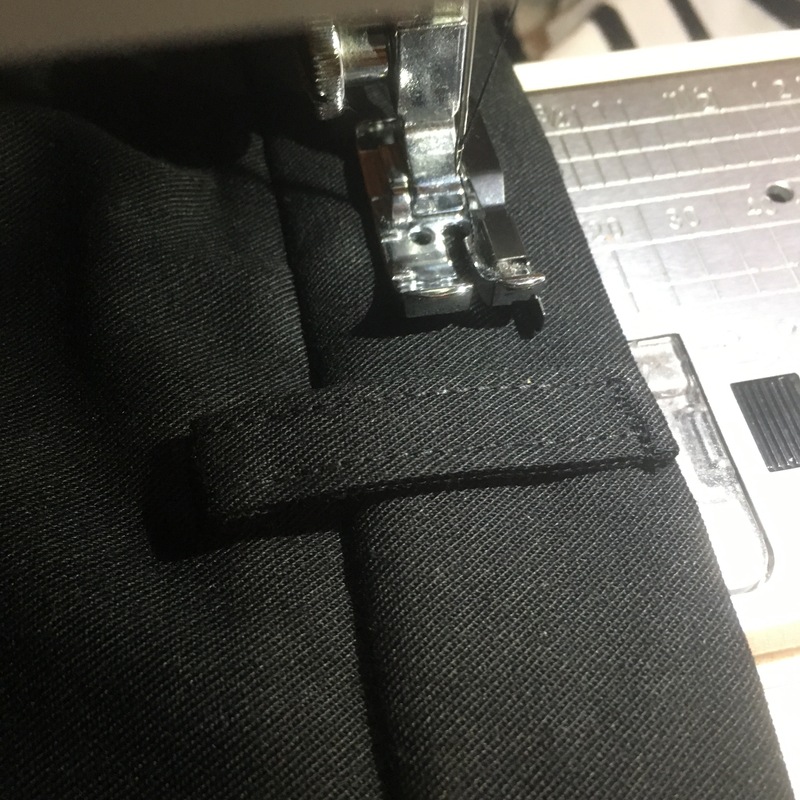 I think the bulk in the seams stops the buttonhole foot from moving correctly. I was really careful trimming everything away this time. And I think using a cheap plastic zipper has really helped. 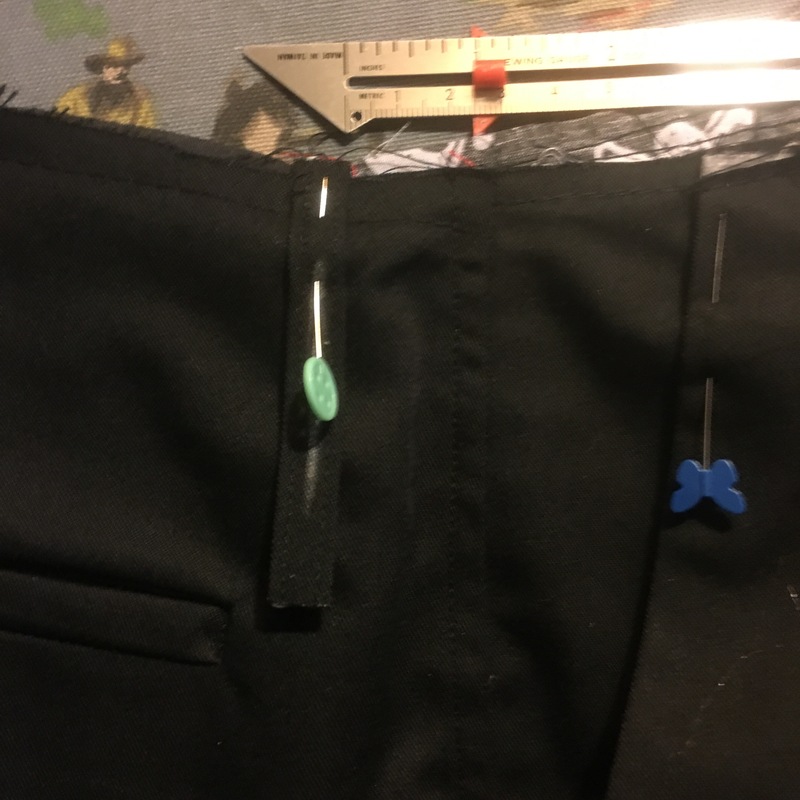 Either way, the button hole went really well this time. And when I attached the button, I even remembered to use a pin in my button foot to give it a bit of room. This is where I tried them on. 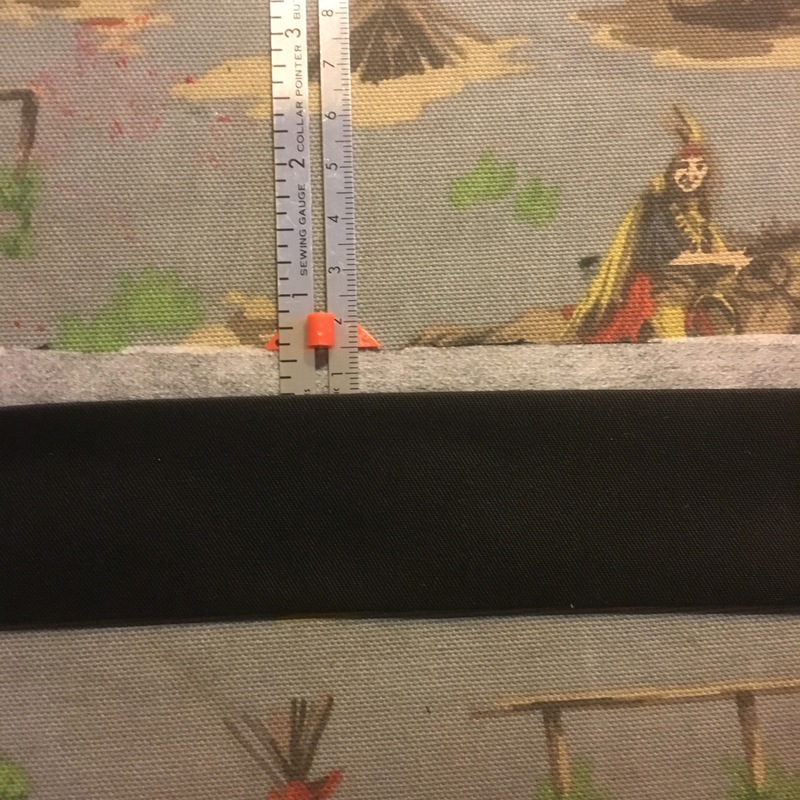 I’d marked an extra 5cm for the hem, but could only afford to take them up by 1cm. But the fit… snug to say the least..! Check the fabric requirements: stretch/ no stretch. TRY THEM ON! I could have gained that all important cm or so at the back seam. I’ve just got on with entering all our details on makemypattern.com so hopefully no more fitting issues, watch this space…! 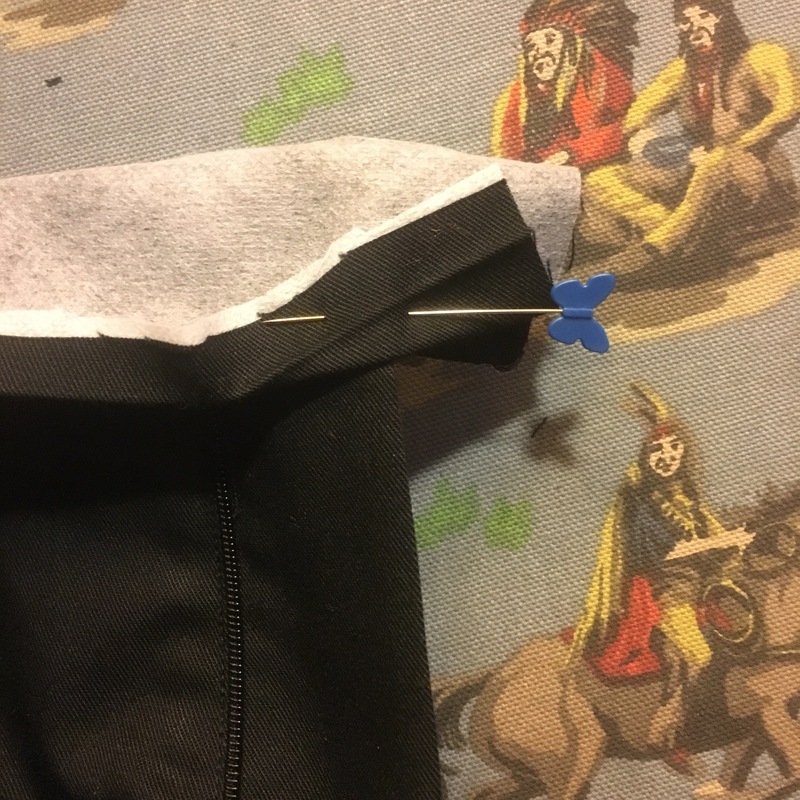 (1) Use a bias-binding maker to help with the folding, then continue as before. 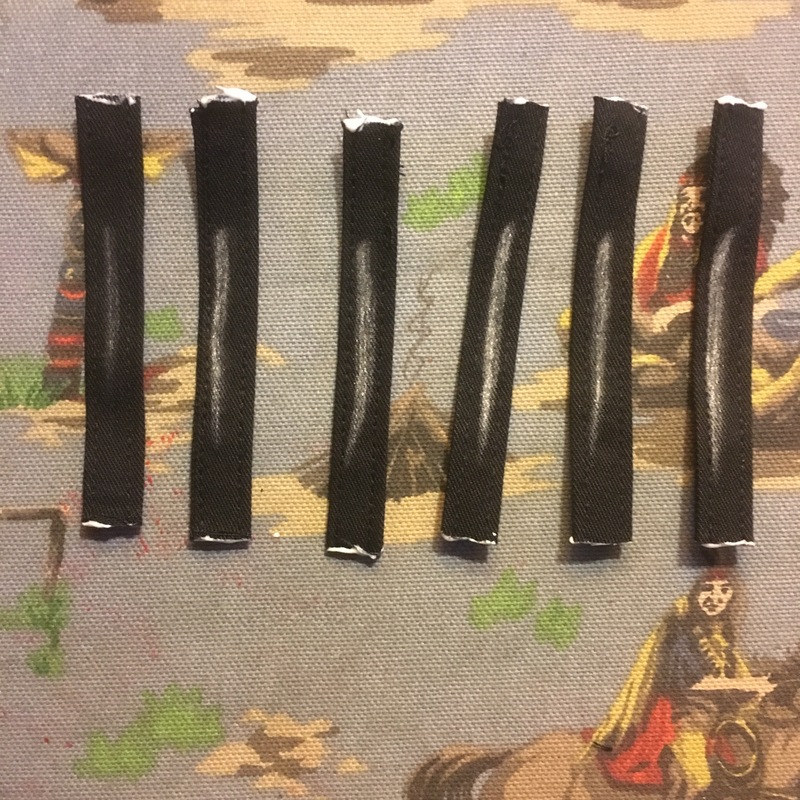 A set of four bias-binding makers of different widths comes to six or seven quid with postage. You can pay more but don’t need to. Hi, thanks for the tips. Funnily enough, I ordered a bias making set from eBay and they never turned up. 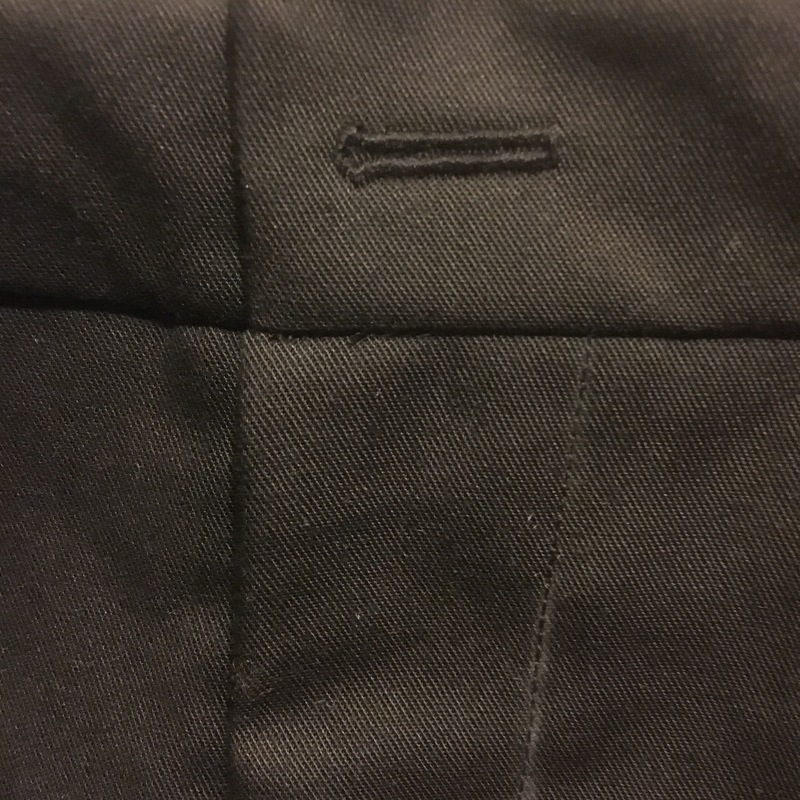 For the overlock method to you have to change the stitch/ tensions or go with the regular settings? I keep meaning to try this out. Next trousers, I should start with the beltloops! 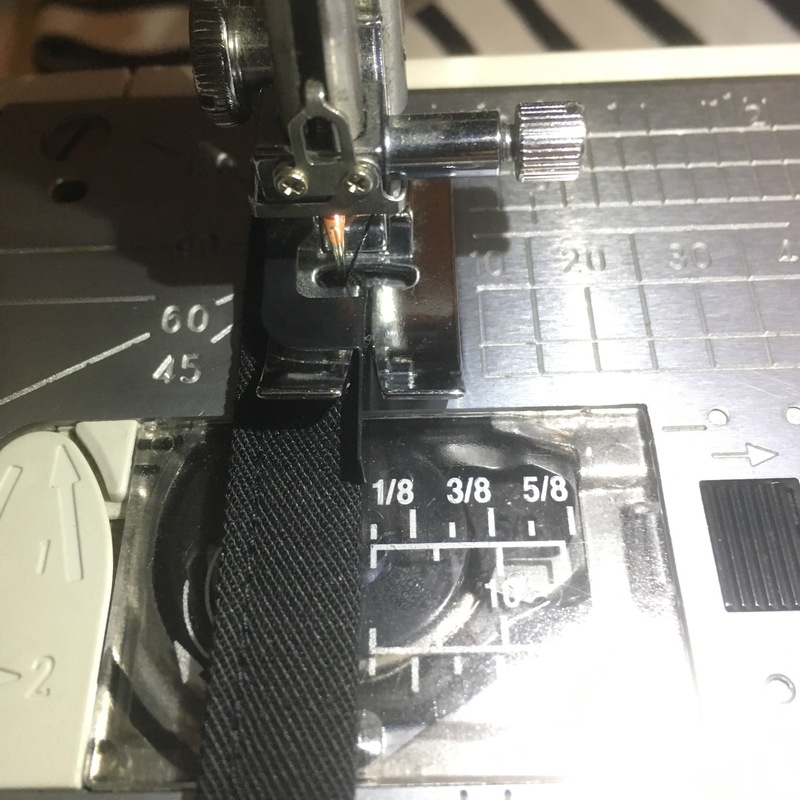 I overlock with regular settings, but mine is a 2-thread machine. 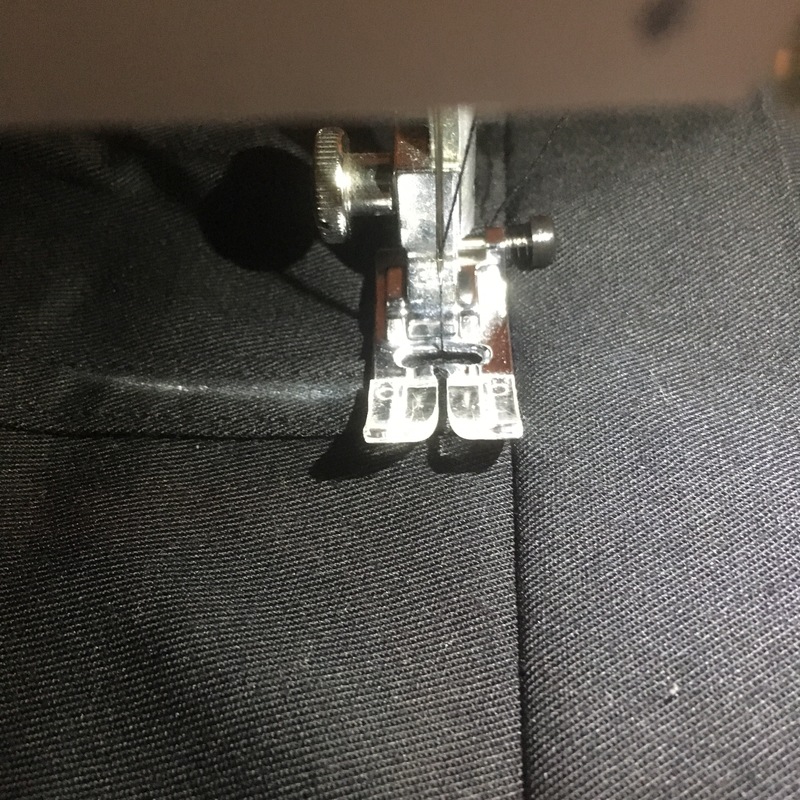 If yours is a 3- or 4-thread machine, then I think you need to thread it up with just two threads, otherwise the seam won’t open out. When in doubt, RTFM! Hi thanks for the tips. I’ve actually ordered a bias binding kit ages ago from eBay… it never came…?! 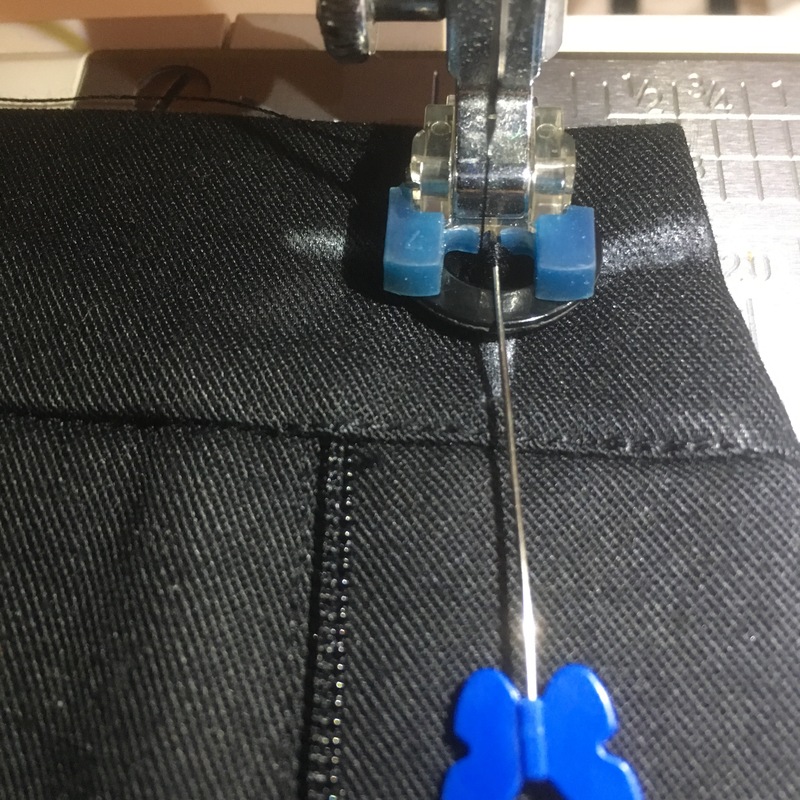 I’ve been meaning to try the overlocker technique, do you have to change the settings?